The RenewX project has reached month 23 of 36 with significant progress made so far by the project consortium with the design, manufacture and testing of the first heat exchanger designs. Results from this testing has guided the project consortium towards a second design iteration which is currently in the process of being manufactured ready for testing and demonstration in the first half of 2015. As a result of the successful collaboration, the consortium partners are currently exploring further funding opportunities in Horizon 2020 in the areas of renewable energy, heat exchange and energy storage. 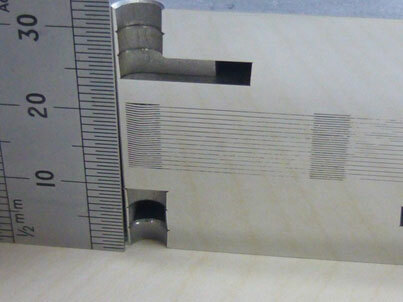 Sections and shim of a half-height micro-channel heat exchanger prototype from the first iteration (WP2). 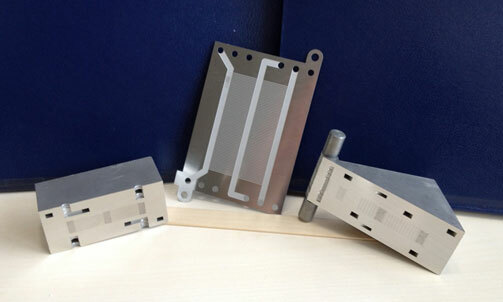 With the RenewX project 1st iteration of prototypes, aluminium heat exchangers were designed and tested. 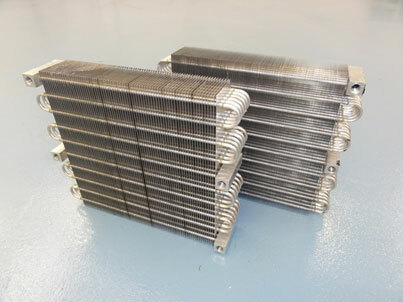 Aluminium heat exchangers (evaporators) as designed by IMP-PAN. Aluminium evaporators in the testing rig at Re/genT as part of WP2. 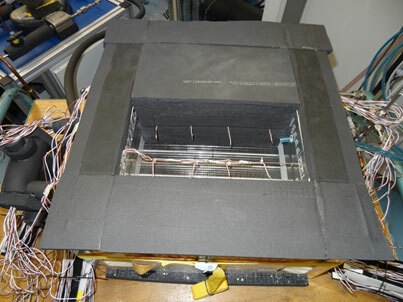 As part of the first iteration of prototypes within the RenewX project, TWI produced 2 compact micro-channel prototypes (WP2) for subsequent testing. 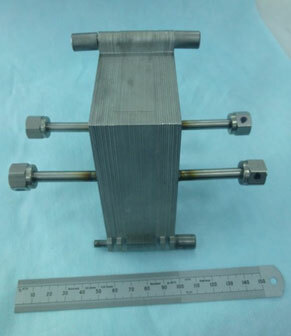 Image of HX7, one of the micro-channel heat exchanger prototypes, made by TWI Ltd using the shims and manifolds chemically etched by ACE Ltd. This type of heat exchanger was then tested by IMP-PAN. Image of a section of one of the first micro-channel heat exchanger prototypes (half height of the tested ones) made by TWI Ltd using the shims chemically etched by ACE Ltd.
RenewX, a new project supported by funding from the European Union’s seventh Framework Programme, is now underway after a successful kick off meeting at TWI Ltd, Cambridge in February. As the market for renewable energy technology grows, there is a drive to integrate these technologies into domestic and industrial buildings in order to ‘green’ buildings. Currently, renewable technologies for buildings are very separate products with limited interaction between them. 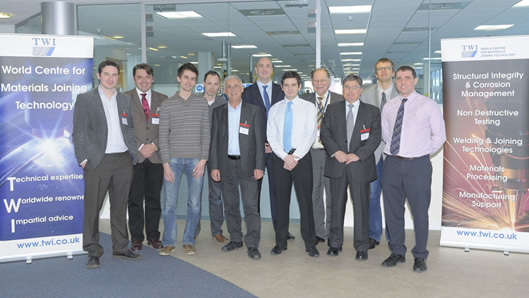 TWI Ltd from the UK is leading the 3 year project that aims to develop novel heat exchanger technologies to allow combination of multiple renewable energy sources. The project will seek to explore novel heat exchanger designs and manufacturing processes in order to produce optimised designs. The project features a consortium of companies from across Europe whose expertise will combine to work towards a solution to the problem. This includes research organisations; TWI from the UK, Newcastle University from the UK, The Polish Academy of Sciences from Poland and Re/gent from The Netherlands, 4 Associations from across Europe represent hundreds of potential members who can benefit from the exploitation of the product and 2 SMEs, who represent knowledge of markets and trends, are also steering the project to ensure that it has practical application in the market place.